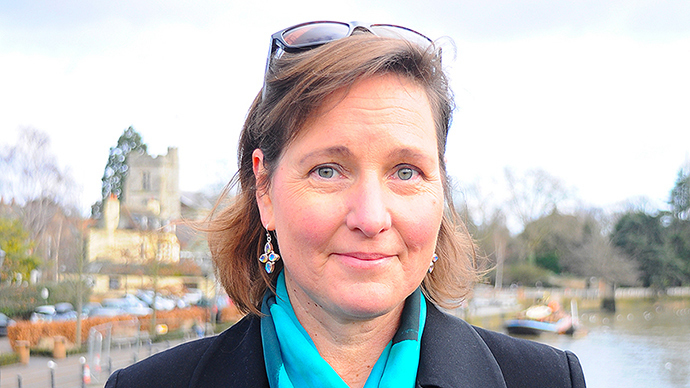 Tanya Williams, the Green candidate for Twickenham, South West London, made the remarks during an Amnesty International hustings on Tuesday. She also allegedly urged the UK government to end political and economic trade ties with Israel. “I personally think we need to stop supporting Israel, whether that’s trading arms with them, or politically, or treating them like a beacon of democracy in the Middle East which they are not,” she said. The Board of Deputies of British Jews has now called on the Green Party to condemn Williams for her “inflammatory” comments, “which attacked the only democracy in the region,” according to one member. Board Vice President Alex Brummer told SW Londoner: “The comments on the Middle East from the Green Party candidate in Twickenham are wholly unacceptable. “They are based on falsehoods, ignorance and sheer prejudice against Israel and its supporters. However, the Richmond and Twickenham Green Party branch said it fully endorsed Williams’s statements, made “in an open forum focusing on human rights that invited a range of opinions,” the party said in a statement. “‘We seek a just, sustainable and peaceful solution to the Arab-Israeli conflict, based on mutual recognition of the rights to independent statehood for Palestinians and Israelis. “We condemn human rights violations by both parties and the oppression and disproportionate use of aggression by the Israeli government against the people of Gaza. Britain’s ties with Israel and stance on Palestine have become central foreign policy issues in the ongoing general election race. Labour Party leader Ed Milliband has recently pledged to recognize Palestine when the “right time” comes. Labour also says that securing peace in the Middle East and finding “a comprehensive two-state solution” for Israel and the Palestinians are key aims for the party.